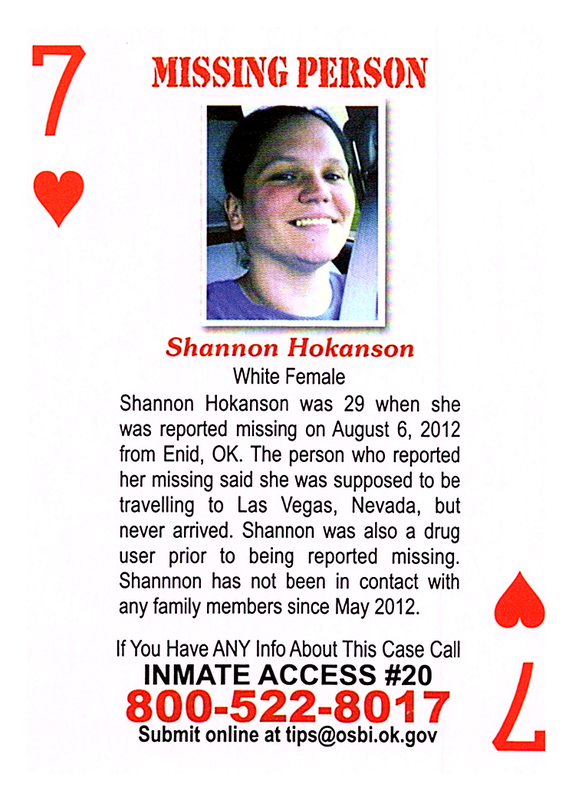 Shannon Hokanson was 29 when she was reported missing on August 6, 2012, from Enid, OK. The person who reported her missing said she was supposed to be traveling to Las Vegas, Nevada, but never arrived. Shannon was also a drug user prior to being reported missing. Shannon has not been in contact with any family members since May 2012.